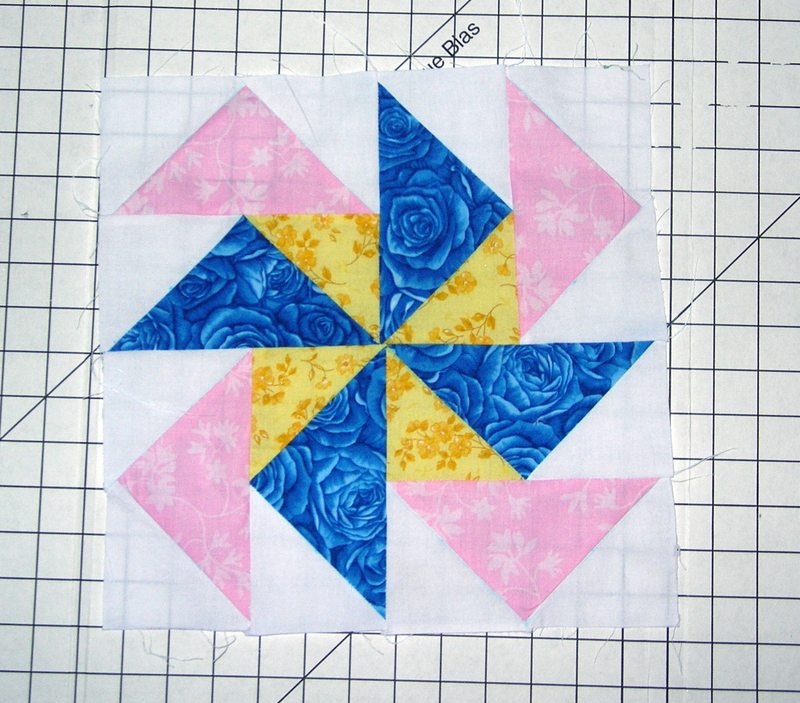 For the next block in this sampler, I decided on a Dutchman’s Puzzle block. I followed the pattern here. I modified the pattern a little bit to include two background colors, instead of one. 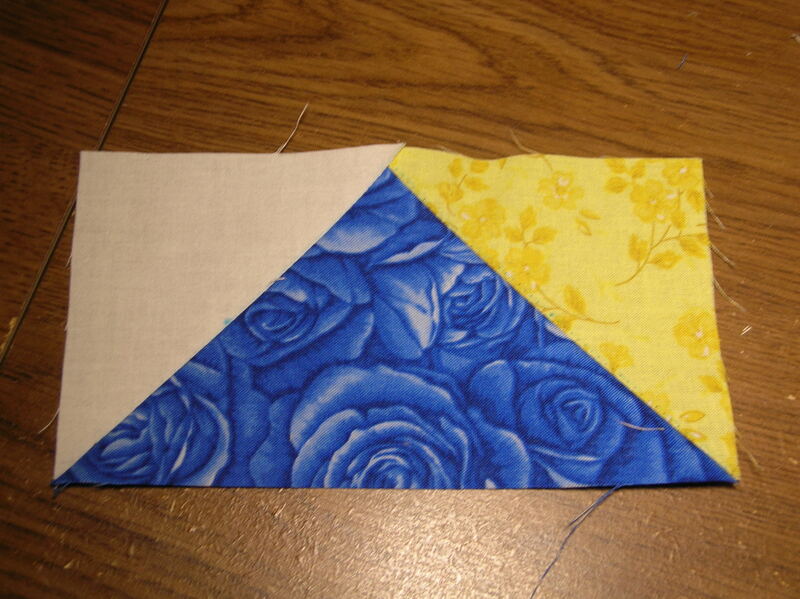 That way, I was able to use all four of my colors in the block. I learned two things while building this block. 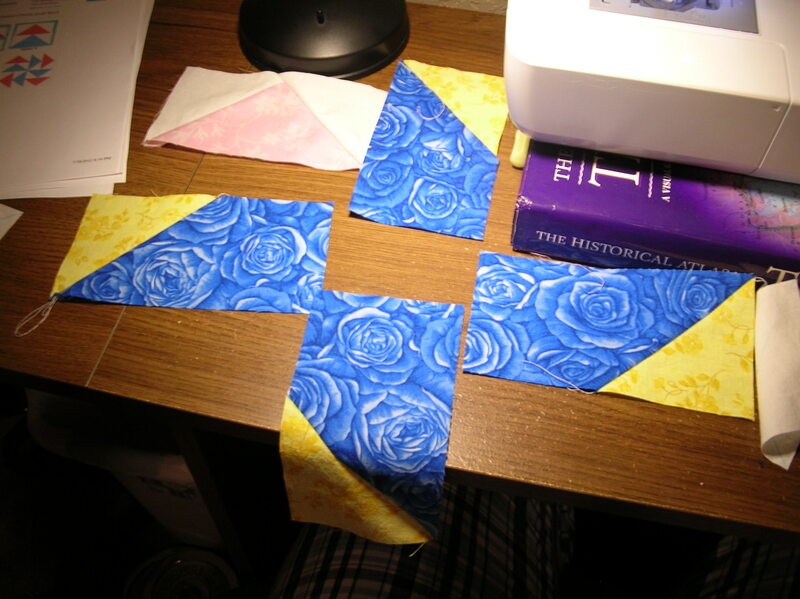 One, always always check the layout of your block before too much sewing happens (preferably, before ANY sewing happens). I began to built the flying geese units for this and got half way done with the first set of colors. The yellow is on the wrong side! I meant for the yellow to be in the center. Looks good, right? Wait! The yellow is suppose to be in the inside, not the outside! oops…… Now the question is: do I rip it out or got with it? Second thing I learned, it’s always worth it to make it look right. 🙂 After some ripping and re-sewing, I finally ended with these flying geese units. Here’s my final block. How awesome does this look??? I’m very glad I tore it out and redid it. The finally completed Dutchman’s Puzzle block. I’m loving the first two blocks in this. I wish I could get the pictures to look as vibrant on the blog as it does in person, but alas, you’ll just have to take my word for it. They look even better in person! These bright spring colors are so much fun to work with and help balance the rainy weather over the last few days. 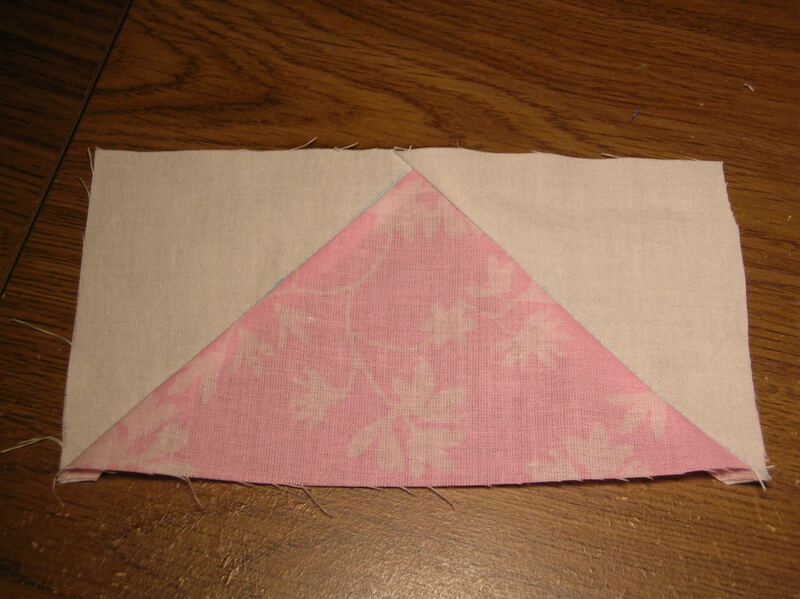 I think it always pays to unsew! I find I’m never really happy if I don’t. I’ve unsewn so much that lately I lay out the pieces and go from there. Takes a bit more time but I guess I make that up when I’m not rippin’ it out! Faster when you only sew once!